It is an unfortunate fact that businesses are not bestowing the right quantum of attention on the aspect of customer service. Even while hiring staff, they look for those job aspirants who are technically sound. They do not look at the attitude of people towards customers. But the same companies behave like hypocrites. When they speak at external forums, they boast that they are giving utmost importance to customer support. But in reality, they give least importance to this aspect. In other words, these companies do not realize that this approach can be disastrous to their company and its growth. Offering high-quality customer service is a great positive for companies. It was Henry David Thoreau who said, "There are nine hundred and ninety-nine patrons of virtue to one virtuous man.” An analogous observation can be made to the realm of customer service also. While almost all the companies say that they always strive to offer the best customer service, only a handful of them are really taking the most relevant steps towards this aim. But those companies that offer high-quality service can certainly and easily move to higher levels because they can convert their customers into loyal customers who will come to them repeatedly for getting their needs fulfilled. 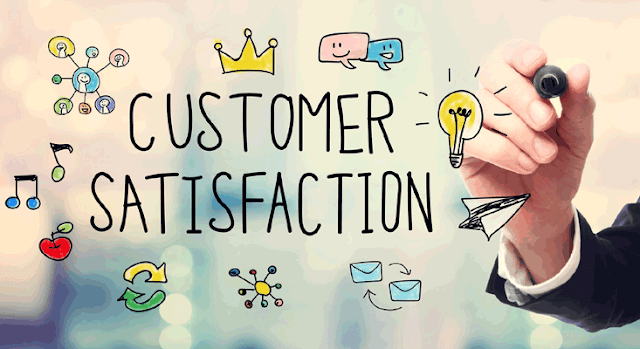 Those companies that push the aspect of offering high quality customer service to the back-burner should realize that their sanity lies in embracing the reality which is to take the most appropriate steps for ensuring complete customer satisfaction. Experts opine that it is high time to remind these companies that reality and truth are synonymous. But the unfortunate fact is “Truth is abhorred by the masses,” as the highly pragmatic and insightful Jesuit priest of the 17th century, Baltasar Gracian, cautioned. In short, these companies should remember that they should accept the reality and start giving importance to the aspect of offering high-quality customer service to their customers. Is it difficult to offer high-quality customer service? To this question, the answer of experts is that it is NOT at all difficult for companies to offer high-quality service. But you, as the owner of a company that wishes to grow to higher levels, must take the right steps for achieving this aim. Let us look at the steps you should take. 1. Use the powers of attachment and detachment. As the owner of the company, you may have ensured that your customer service employees have been imparted with appropriate customer service skills. But in addition to that, you have to make sure that they are trained suitably for using the powers of attachment and detachment. What are these powers? It is a known fact that unless your representatives develop a personal relationship with customers, they cannot convert them into loyal customers. This means that your executives should so inspire the customers that they develop a sense of attachment towards your company. Only then, they will get in touch with your company for getting all their requirements fulfilled. This is the power of attachment. As far as the "detachment power" is concerned, it is the power your team members should develop for controlling their urge to judge customers. When there is pre-judgment of people, there will be bias. If your customer service employees have such a bias, it will not allow them to think constructively and in the right perspective. So, you should educate your team members to consciously make efforts for detaching themselves from the habit of pre-judging customers. Once you succeed in this step, you can easily make your customer service employees offer customer service of very high quality to your customers. 2. Offer service with a smile. Though you may have imparted the relevant customer service skills in your customer service employees, you must make sure that they develop the right type of attitude. Only then, they can please the customers. The process of pleasing customers consists not just of offering services of the best quality. It consists also of using the right body language and having a pleasing disposition while greeting customers and while their answering queries or providing them with appropriate solutions. If your team members offer their services with a smile and with all politeness, customers are certain to be impressed. Such high-quality customer service will make your customers come to you repeatedly for their needs. 3. Never forget Shakespeare's words. And all the men and women merely players;" are the poetic words of Shakespeare. Customer service representatives should never forget these words. They are playing their roles on a stage. They are the face of the company and customers will view them as the company itself and not just as individual employees. So, they should make all possible efforts not to break the character of the character they play. They should perform as expected of them. If they deviate from this, they will be spoiling the reputation of the company. 4. Ensure that the issues faced by the customers are solved. The purpose of imparting appropriate customer service skills your in team members is to ensure that your customers are served in an impeccable manner and the issues they are facing are solved to their fullest satisfaction. This means that your customer service employees should be committed to fulfilling the expectations of customers perfectly. If your team members think that they should just meet customers and interact with them, they are wrong. In short, the right attitude they should possess is to ensure that customers have the best experience. You may be treating your employees with all respect and consider them as partners in progress. But experts suggest that you should treat them as well as you treat your customers. You always aim to serve your customers in the most appropriate manner. You should adopt a similar attitude towards your employees. You should treat them well and show them the respect they highly deserve. Of course, the term "employees" includes your customer service employees as well. These are easy steps to adopt and if you stick to the dictum of adopting them consistently and meticulously, you can continuously offer customer service of the highest quality to your customers.